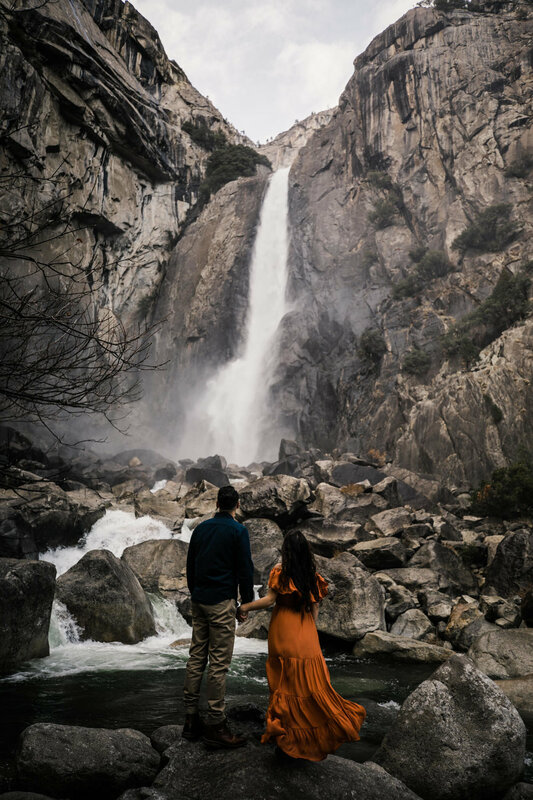 We had so much fun photographing Gabriella and Aaron’s adventure engagement session in Yosemite National Park a few weeks ago! From the moment we finally met in person, we were fast friends with these two fellow adventurers. We spent pretty much their entire session talking about life on the road, overlanding rigs, and getting advice from Aaron about our ideas of living on the road in South America for a few months. As for the photography part of their session - they totally rocked it! 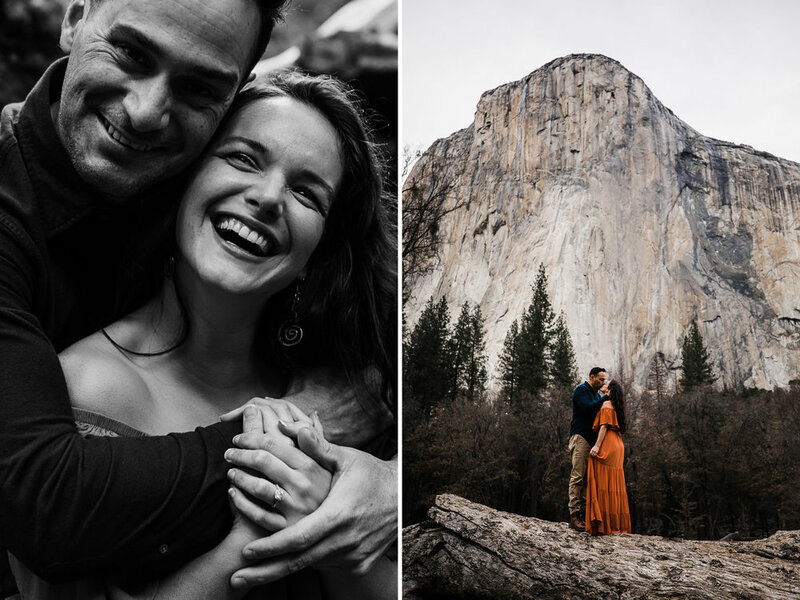 We typically start adventure photo sessions with a low-key location and some easy directing, but we pretty much threw these two into the deep end with photos at the base of Yosemite Falls in the misty, rushing wind right at the start! We could barely hear each other and the mist was freezing, but it was one of the most thrilling feelings. We love the power of waterfalls when you get up close to them and thankfully so did Gabriella and Aaron!! I still can’t get over how perfect her orange dress looked as the wind blew it all over as they (carefully) ran across the gray rocks. 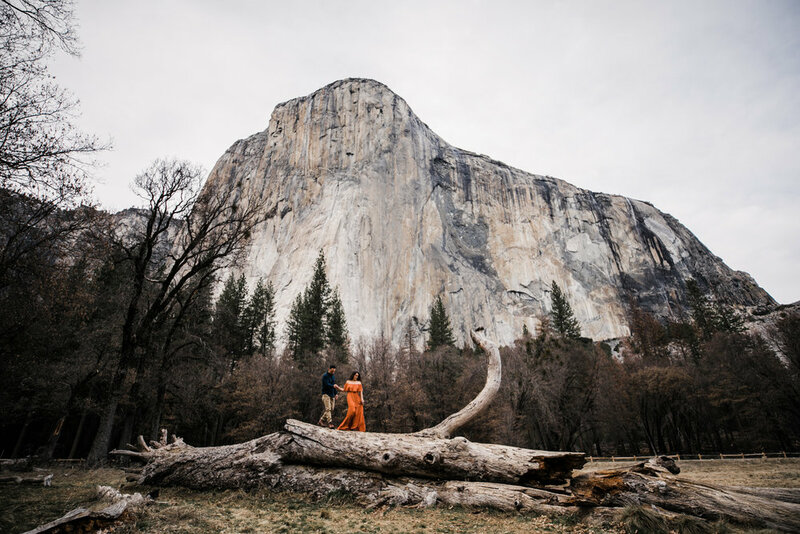 We made our way around Yosemite Valley, stopping in a few favorite meadows for some photos surrounded by the gray mountains and then ended their session at one of our favorite spots - on some slabs overlooking the valley. 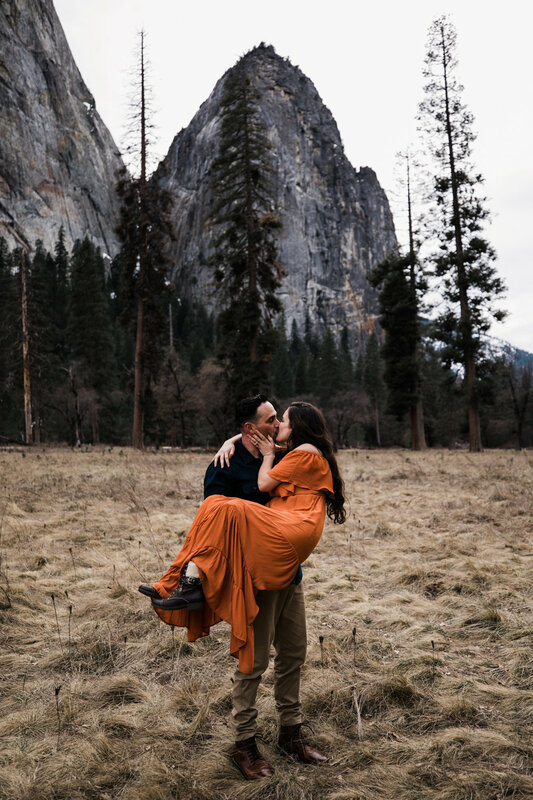 We ended up having so much fun with these two during their engagement session that we met up for lunch in Yosemite Village the next day! By the time they were driving out of the park, we had definitely made two new friends and were stoked for future adventures!